I thought a Christmas-y style would be nice this time of year. 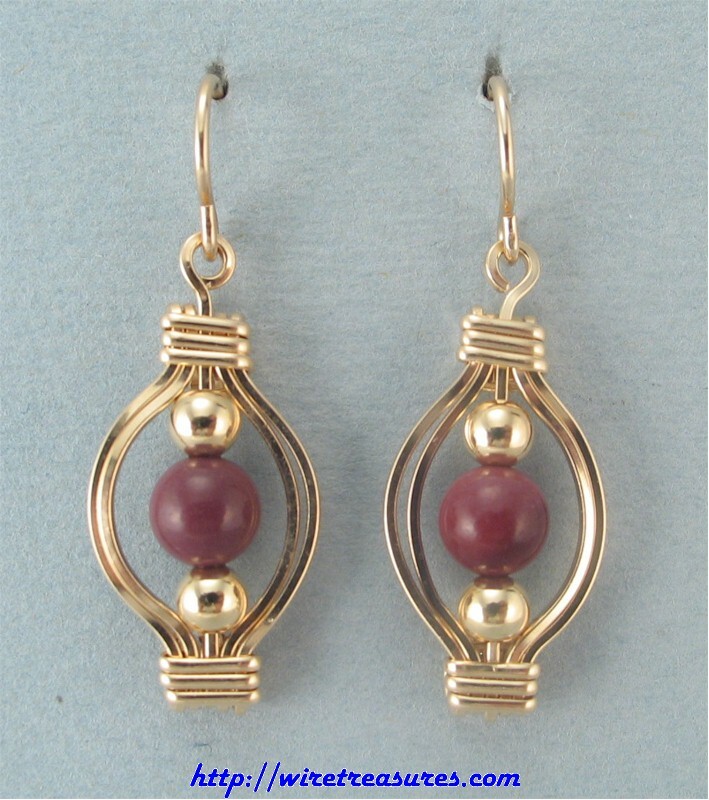 These dainty earrings look like tree ornaments; a single Mook Jasper bead is wrapped in 14K Gold Filled wire. These earrings hang down about 1-1/4". You are visitor number 4,968 to this page.